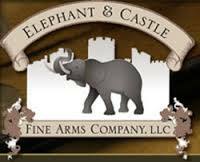 Disc Golf Monkey's Gettin' It Done Tour Finale sponsored by Elephant & Castle Fine Arms and Discmania is in the books. For the second year in a row, players made their way along the curvy roads to the Lost Woods Golf Course in Theodosia, MO. The Lost Woods has an 18 hole disc golf course that is playable year round. For the Finale there is a 20 hole shortened design that allows for a quicker play. It was again an incredible time an an absolutely gorgeous piece of land. The day started early with cool temperatures. Breakfast was served early by the Shockey Family and The Lost Woods staff. Players enjoyed another big Finale Players Pack. After the players meeting, the players made their way to the golf carts and to their designated holes on the brisk and cool morning. The early 9:00 start time allowed the groups to be done before noon. The players enjoyed a soft taco meal with chips and salsa after the first round. Raffle tickets were sold as the scores were added up and put into the computer by the Amazing DGM staff (you guys ROCK). After a smooth half time players went back in their groups and played the 2nd round. The temperatures seemed to stay the same despite the forecast calling for a warm up. The wind picked up significantly. After the second round there was an Ace throw off and a Play off for for first in the Recreational Division between Matt Pearson and Andre Anderson. Andre canned a 40’ turbo putt for the win. Great battle guys. There was really only two players that were in the battle for the Open championship. Both Chris Eads and Andrew Presnell dominated the division in their dog fight for top honors. Eads took a 3 stroke lead in the first round. Andrew battled back shooting a 48 but Eads was able to hold off the charge and won by a stroke. Great playing guys. You guys both demolished the field! On behalf of Elephant & Castle, Discmania, The Lost Woods, and Disc Golf Monkey, THANK YOU ALL for making this 10th Consecutive Tour Finale such a huge success! SEE YOU AT THE ENCORE! !